Western Australians are expected to come out in droves to protest the state's controversial shark cull this weekend, on the heels of the first shark death carried out by the program. The event is set to take place at Manly Beach north of Sydney and draw 2,000 protesters. It's an opportune moment for the protest, as two more sharks were caught on the lines on Friday, according to Australia's Daily Telegraph. The protests come just as it was announced two sharks have been caught on Perth's drum lines, which were deployed only hours ago to catch and kill big sharks off metropolitan beaches. The first was a 1m tiger shark caught off Cottesloe, which was released by Fisheries Department officers because it was below the 3m catch limit. The second shark, a 2.6m tiger shark, was caught about 11.30am. 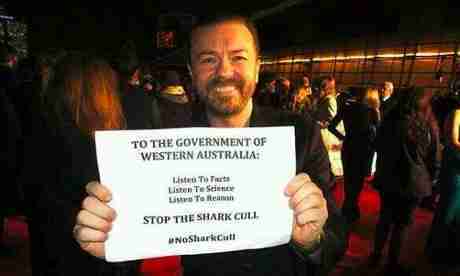 Although both sharks will be released rather than culled, it was only a matter of size that will keep them breathing. This weekend's protest is reminiscent of a similar one at the beginning of January that drew over 4,000 people to the beaches of Perth. The Australian government granted the state permission to circumvent federal laws that protect endangered species specifically for the cull. 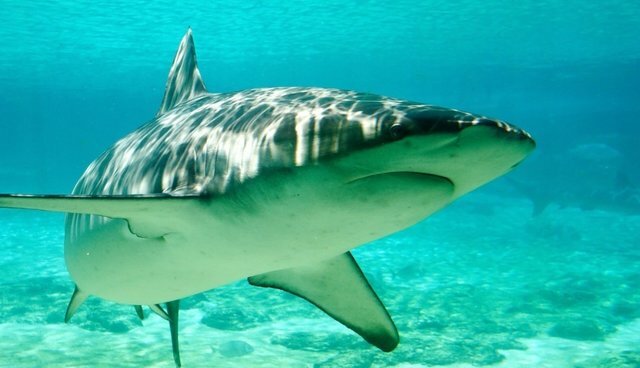 The measures are intended to reduce shark attacks on humans, despite backlash from scientists, scuba divers, conservationists and even the family of a fatal shark attack victim. Adversaries say that the cull will only draw more sharks towards people, because the baited drum lines used to catch the animals are less than a mile away from the shores of Perth's most popular beaches. Several high-profile opponents have weighed in against the cull. You can kill any shark that gets out of the sea and starts killing us in our natural habitat of streets and pubs and internet cafes. Deal? "It's going to do quite the reverse, I think. You're advertising a problem that doesn't exist in a major way and you're deterring people from wanting to come to Perth and your beautiful countryside around it. All you're going to achieve, I think, is to worry people unnecessarily." Many protesters of the cull have also cited this amazing infographic created by several conservation groups helps illustrate the real threat that shark pose to us -- compared to the threat we pose to them.